During a meeting I attended while visiting an affiliate organization in the San Francisco area, the CEO shared his vision of business success as a three-legged stool of margin, sales and net profit. If any of the three legs of this stool are out of balance, revenues suffer and shareholder value declines. 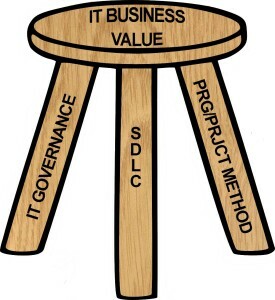 In The Ultimate Guide to the SDLC, I present my own theory of a similar three-legged stool that applies to the business value IT provides to an organization. 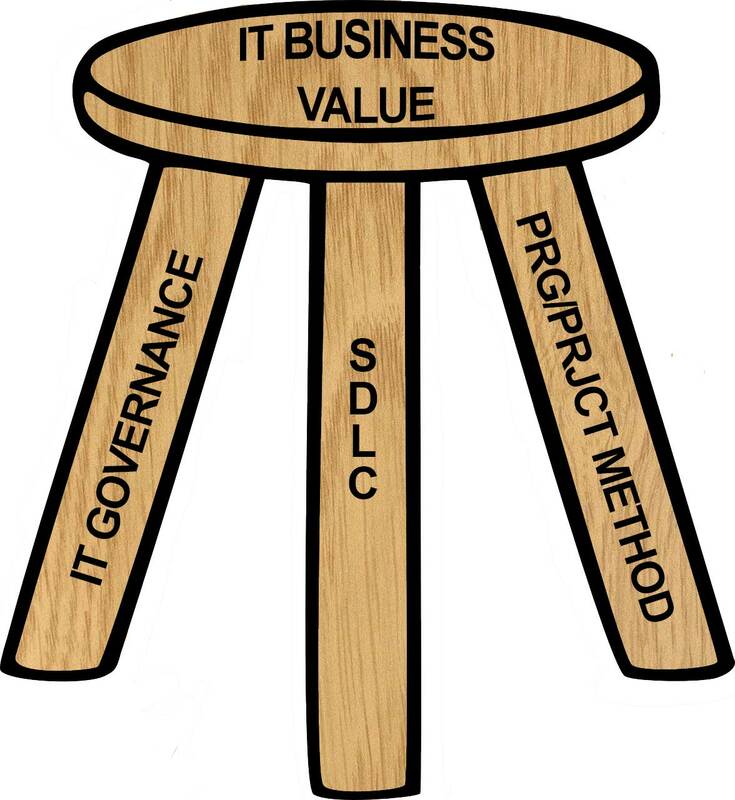 In my thesis, the three-legged stool of IT business value is comprised of IT Governance, the Program/Project Management Method and the SDLC. The three are inextricably linked and together form a trilogy that are foundational to IT success and the business value IT provides. In the corporate world, a truly effective IT group can help increase revenues, develop and hold market share, gather mission-critical employees, view mission-critical processes and plan niche creation strategies. 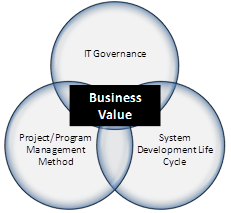 An ineffective IT Governance crushes an organization. It leaves senior leaders with a bad taste in their mouth. 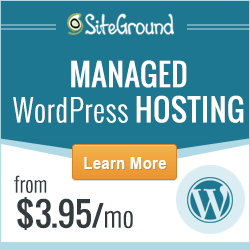 They lose confidence and trust in the IT group to deliver what they’ve promised. 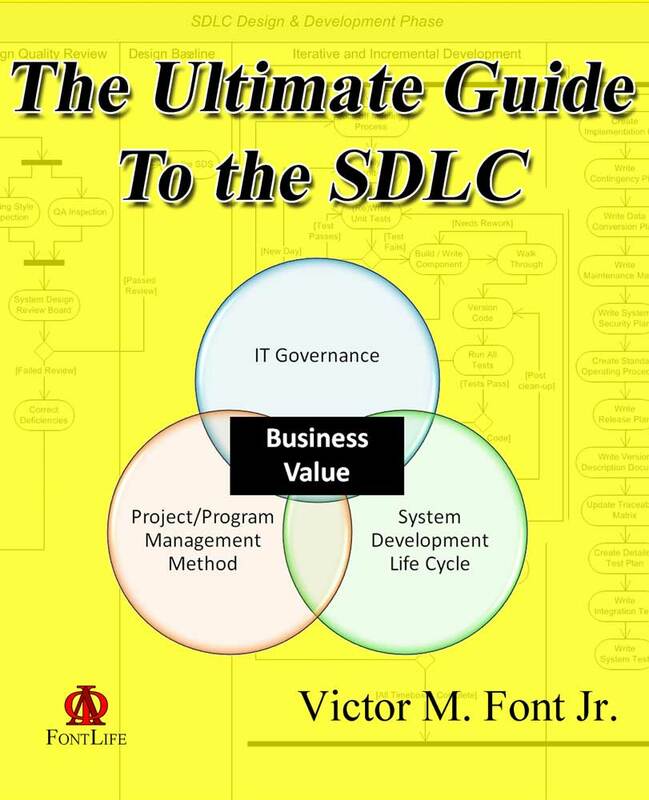 A poor project management method leads to project failures, cost overruns and delays. 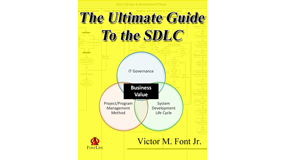 An immature SDLC results in poorer quality products, increased defects and lower customer satisfaction. 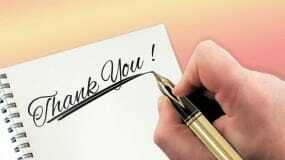 All three must work in concert and all three must be effective to produce the desired results. 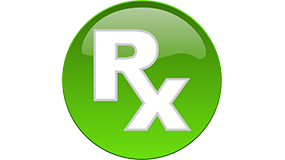 Effectiveness is measurable and can be continuously improved. If any one component is out of balance, our projects may topple and fall; and like Humpty-Dumpty, we may not be able to put all the pieces back together again.